This is the second instalment of the shawl club for The Knitting Goddess - you can read all about it here. Joy and I have decided to give you a sneak peek of the shawl club each month - so you can catch a glimpse of the shawl I have designed for that months yarn. This months design is a not a traditional shawl, but a squishy cosy cowl. Designed to showcase the gorgeous contrast of the two colours created for this month I chose a simple garter cowl with some interesting techniques to create a striking accessory. 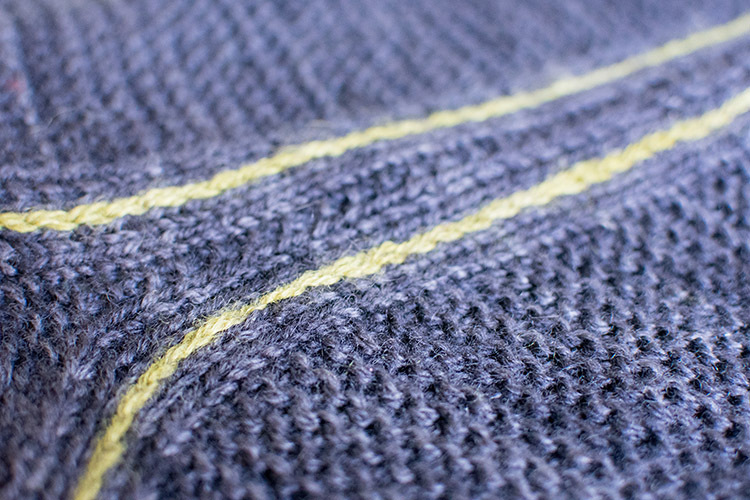 Worked sideways in two pieces this cowl features squishy thick garter stitch (created by holding the yarn double) and two bold contrasting stripes created with a single strand of contrast colour slipped stitches.